The Frontline 30J F6 Gas Sensor is designed for the detection of LEL levels of Hydrocarbon gases within a non-classified (safe) area. 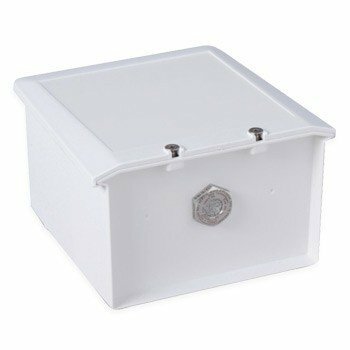 The 30J junction box is manufactured from a flame retardant ABS material, coloured white to RAL 9003. The junction is supplied with a number of pre-assigned cable/conduit entries and a variety of fixing points for surface or stand-off mounting. The junction box maintains an Ingress Protection rating of IP64. The F6 sensor is manufactured from stainless steel and carries an IP63 rating (IP64 when used with the universal fitting). The F6 sensor is both ATEX and IECEX certified but, when used in conjunction with the 30J enclosure, is suitable for installation within non-classified areas only. Our dedicated team of Service and Project Engineers have a range of expertise and knowledge and are on hand to discuss your fixed fire and gas detection needs. Call now on 0141 771 7749 or visit our Contact Us section on the website for more information.